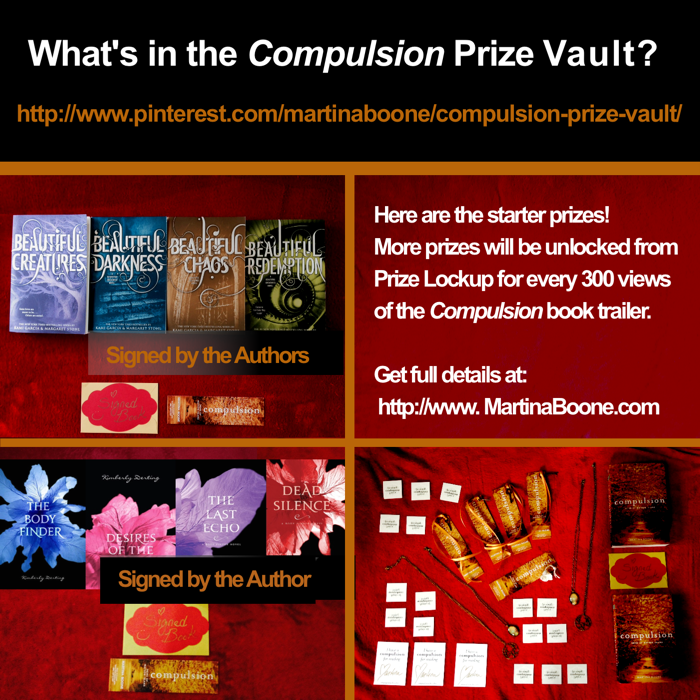 If you've seen any of the other giveaways I've done this year in honor of Compulsion, you'll have also have figured out the book has something to do with keys. 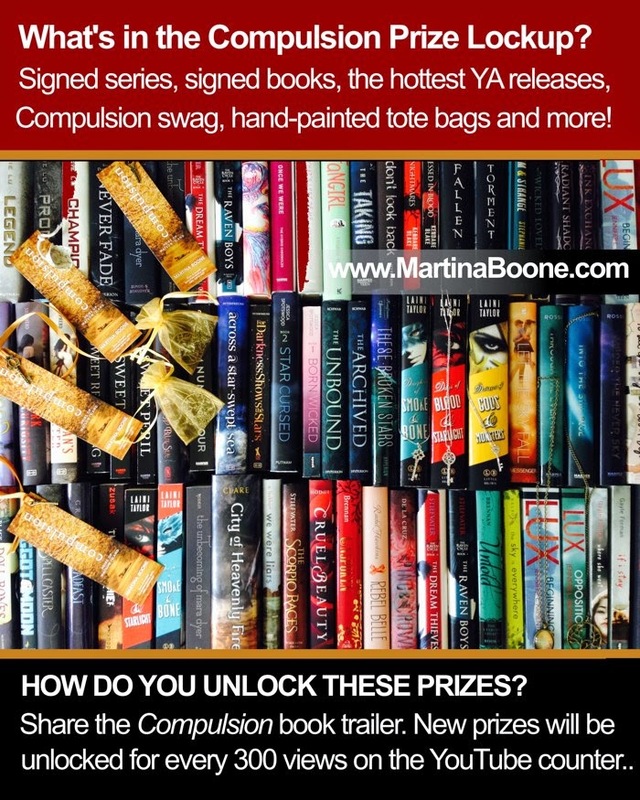 To help with the reveal of the book trailer and to kick off the countdown clock to launch, I'm going to do a very special giveaway where YOU hold the keys and YOU get to unlock the prizes. Click here to see the trailer on Hypable.com today. It will be available on many more sites after 11:00 am tomorrow. For every three hundred views of the trailer on the YouTube counter, you will help unlock more prizes from Prize Lockup, and they'll be moved into the Prize Vault. Grab a key code from any (or all) of the official sites on the master list, and fill out the Rafflecopter to enter the vault. I'll pick winners for all the prizes currently in the Vault whenever a new prize is unlocked from Prize Lockup. Enjoy! And in case you are wondering . . . Yes, the trailer and a special Adventures in YA Publishing keycode will be available here tomorrow, so come back to get the list, watch the trailer, and make sure you have every chance to win! This is all very exciting. Will check out the trailer. Hope you like it, Angela! Very exiting times, Martina! Congratulations. It's a great trailer! I hope you're happy with it. CONGRATS! No wonder you're excited. Wheee! I do love it! Thank you so much, Carol! I'm so happy it turned out well!